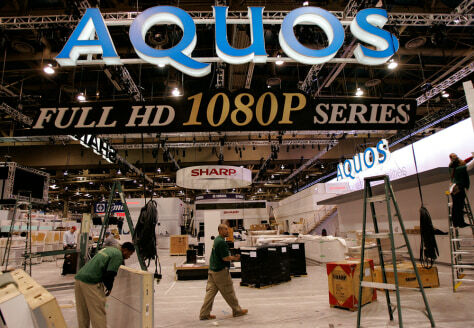 The Sharp booth is shown at the Consumer Electronics Show in Las Vegas. With 2,700 exhibitors, the largest technology trade show in the world takes place in Las Vegas from Jan. 8 to Jan. 11. About 150,000 attendees are expected at this year's CES.